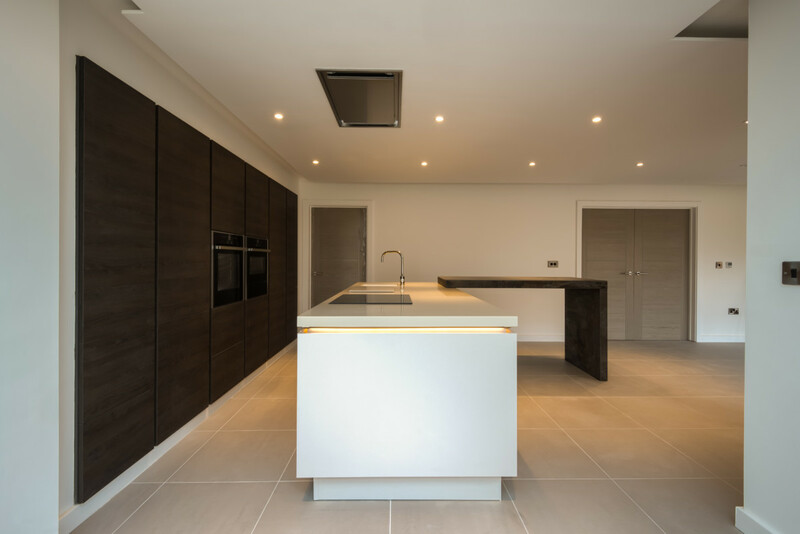 A minimalist design combining the handleless tall units housing the Neff Fridge, Pyrolitic slide and hide oven, microwave combination and warming drawer along with contemporary storage solutions. 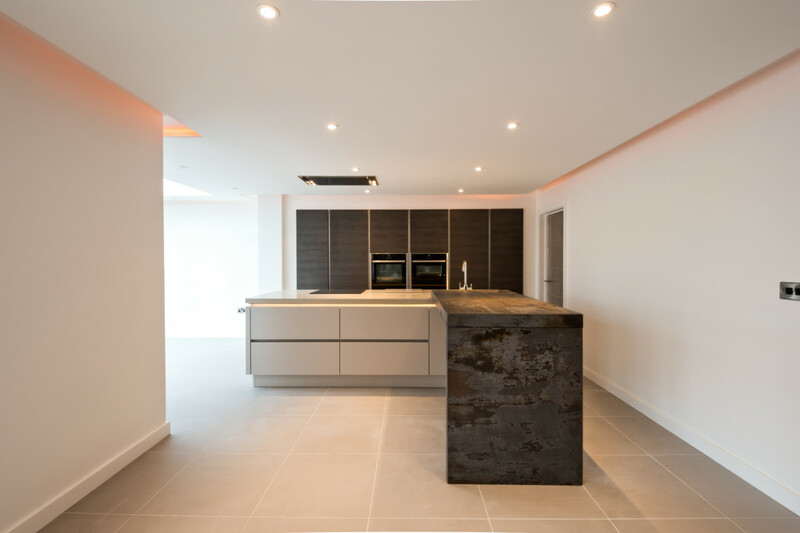 These units are punched into the wall creating a seamless elegant look. The island contains the cooking area, which faces the rest of the room making this a great kitchen for entertaining. 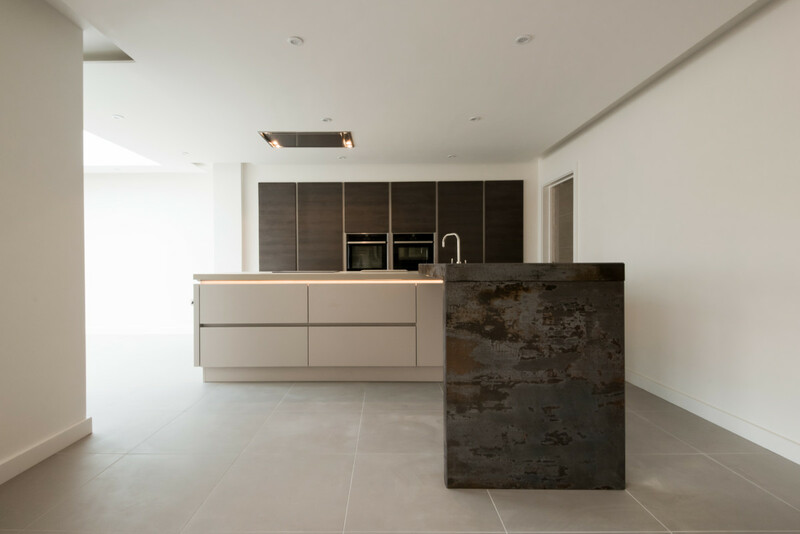 The immense earthy Dekton overhanging worktop breakfast bar creates a huge statement and brings a uniqueness to the whole design.